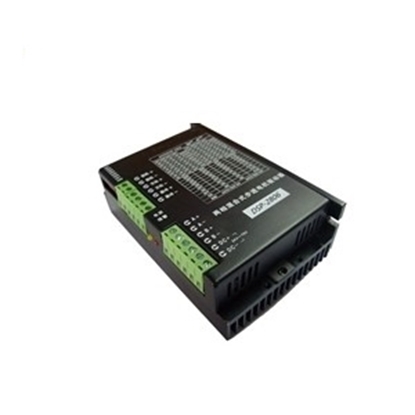 2-phase closed-loop bipolar microstep driver, DC 20-50V, 1-5A for Nema 17, 23 2 phase stepper motor, manufacturer direct sale. 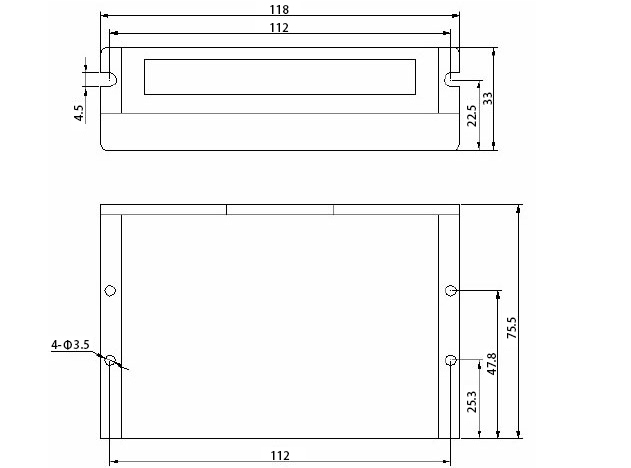 Input voltage 20-50 VC, the typical value is 36V, and the chopping frequency is greater than 300KHz. Input signal is compatible with TTL and provides a two-pulse standby function. 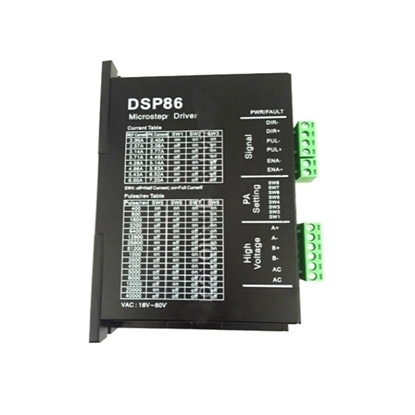 Bipolar constant current chopping mode, optical isolation signal input, when the pulse signal to stop delay 0.4s, the motor current is automatically reduced by half, can reduce the heat. 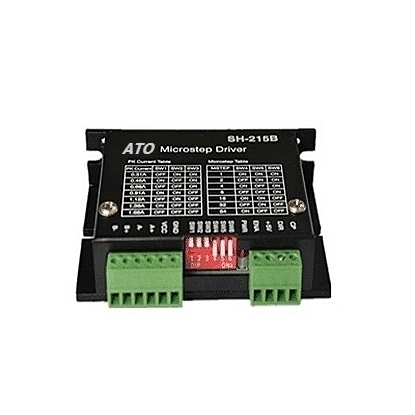 Segment optional: 2,4,8,16,32,64,128,5,10,20,25,40,50,100,125 times subdivision optional, can drive 4, 6, 8 wires two-phase, four-phase stepper motor. 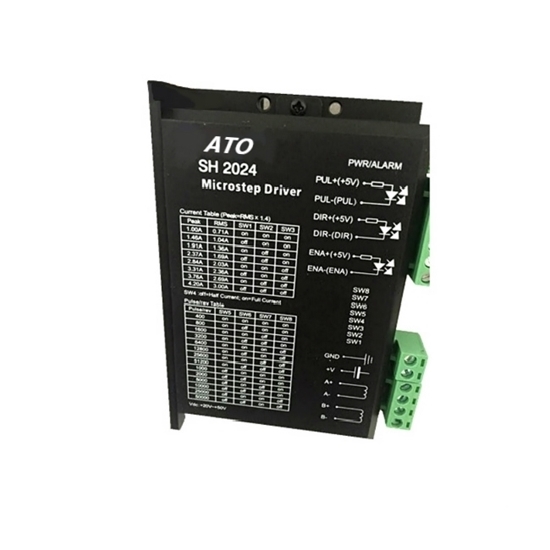 When the static current automatically halved, with dynamic current control technology, the motor heat is low. Selectable pulse rising or falling edge trigger, with over-voltage, short circuit protection. Indicator Light 1. The green light is the power indicating lamp. When the drive is powered on, the green light is always on. 2. The red light is the fault indicating lamp. When the overvoltage and overcurrent faults occur, the trouble lamp is always on. 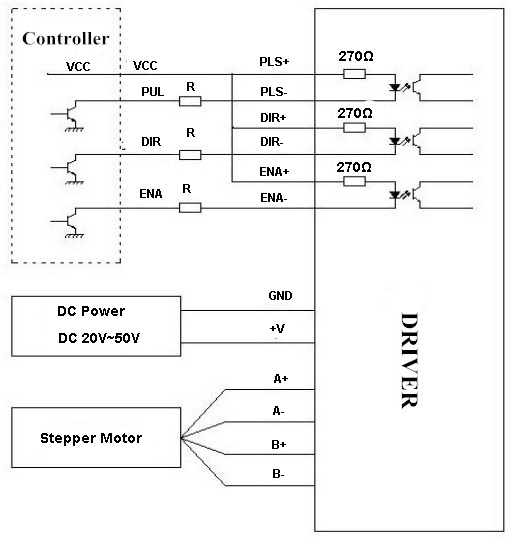 Current of a stepper motor driver: Current is to determine the size of the stepper motor driver capacity and is one of the important indicators to select the driver. Usually, the maximum current of the driver is slightly larger than the nominal current of the corresponding motor. 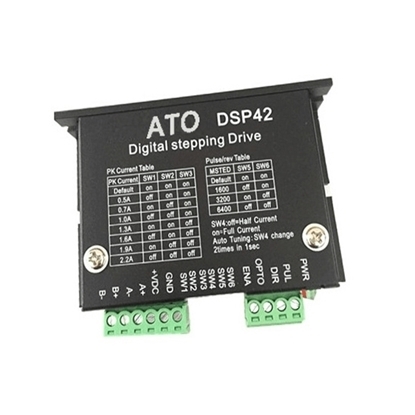 Supply voltage of stepper motor drivers: The supply voltage is a measure of the ability of the driver to speed up. Subdivision of stepper motor drivers: Subdivision is the hallmark of control accuracy which may be improved by increasing subdivision. Subdivision can increase stability of the motor. A stepper motor usually is characterized by low-frequency vibration, which may be improved by increased subdivision so that the motor is able to run very smoothly.